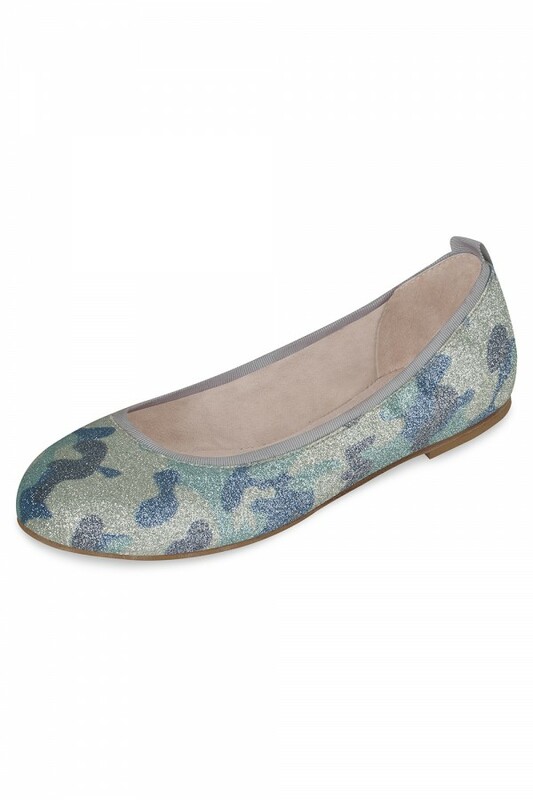 Camouflage sparkle ballet flats. Easy to slip on flat has a hard leather outsole with rubber inserts for added grip and practicality. Soft leather lining and padded teardrop at the heel for superior comfort.